It is arguable that fans of the Socceroos might feel somewhat less daunted by their World Cup opponents in 2018 than with the 2014 tournament. In Brazil, Australia faced the veritable ‘group of death’ when coming up against Spain, Chile and the Netherlands. This time around, the Fates have been a little kinder to Australia. France’s talents, of course, have been well publicised, but Bert Van Marwijk may fancy getting something out of Peru and Denmark. France are third-favourites to win the World Cup at 7.00 with Ladbrokes and, as you might expect, overwhelmingly backed at 1.04 to get qualify from Group C. On paper, this all makes sense. Didier Deschamps boasts a squad laden with talent, including Antoine Griezmann, Paul Pogba and Kylian Mbappé. Indeed, big names like Anthony Martial and Alexandre Lacazette did not even make the squad, such is the quality at Deschamps disposal. However, France are still not yet the finished article. Getting the big names into the starting line-up sometimes hasn’t worked for Les Bleus. Can Australia nick a point in the opening game in Kazan? Perhaps not, but there is a sense that France might be this World Cup’s big fish that capitulate. Denmark are in no sense a one-man team, but if you were going to build a team around a player Christian Eriksen would be among the top names on the list. The Tottenham Hotspur maestro is arguably the Premier League’s most underrated player, but his importance for Denmark is more-than-appreciated in his homeland. Australia come up against Denmark in the second round of Group C fixtures, with the job of containing Eriksen likely key to getting anything from the game and qualification. It might be the moment where Mile Jedinak earns his corn as captain of the Socceroos. He will be tasked with stopping Eriksen from conducting the Danish orchestra. That’s easier said than done, even for a defensive midfielder as disciplined as Jedinak. 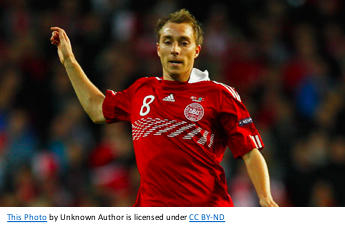 Denmark are dark, dark horses to win the World Cup at 81.00, but having Eriksen makes them worth a shot to nothing punt, perhaps using the latest World Cup free bets. When appointed to the temporary role as Australia coach, Van Marwijk would have looked at Peru as the team most likely to yield three points to Australia. They are, in fact, much more fancied than Australia with the bookmakers at 2.88 to qualify from the group (incidentally, Denmark are 1.62). They were impressive in dispatching New Zealand in the playoffs, but really showed their mettle in coming through the notoriously tough CONMEBOL qualifying. Ideally, the Socceroos want to be coming into the final game with Peru with a chance of getting to the knockout rounds. That’s going to require 1-3 points from the opening two fixtures. If they can achieve this, beating Peru looks doable. If not, it could be a case of another early exit.